Think pedestrian, especially when it snows! 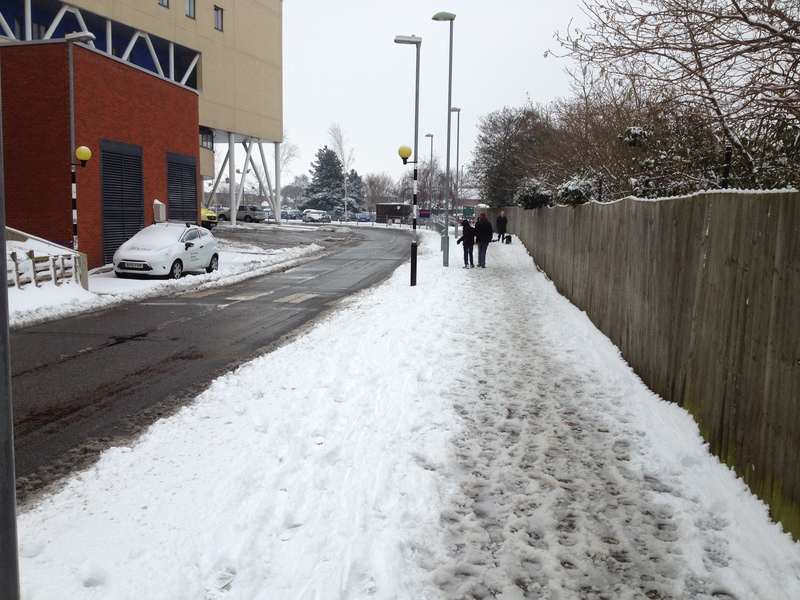 Ipswich hospital did an excellent job clearing snow from its service roads today, but unfortunately failed to clear its pavements effectively, which is a shame, given the considerable workload that slips on snow and ice create for the NHS. Some of their pavements had been dressed with salt but there was then too much snow for that and the paths were soon covered in slush and will probably freeze solid tonight. It’s a good job that emergency services are just round the corner! All of the following pictures were taken on busy routes on hospital grounds. 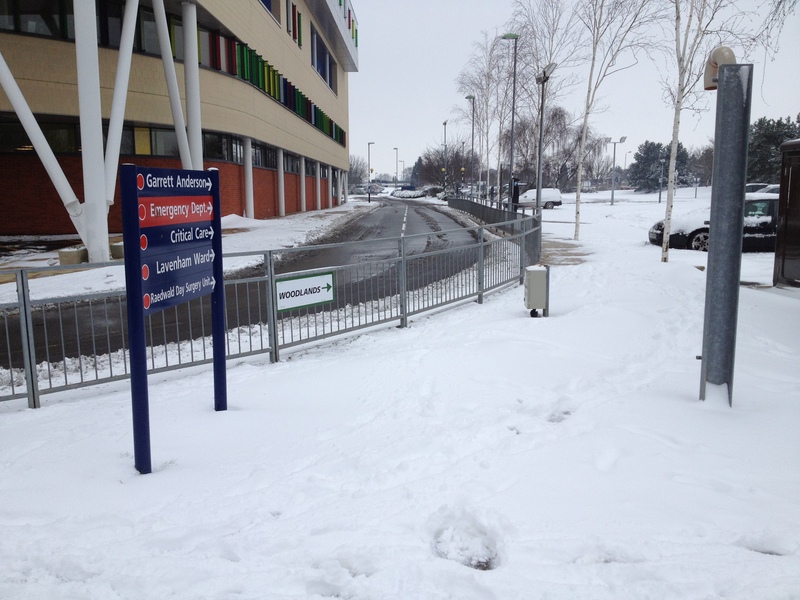 ‘Critical care this way’, but no effort to clear the path to it. Nice pedestrian crossing, road cleared of ice, path has not been. For anyone who is still in doubt, residents are encouraged to clear pavements and business owners are at risk of prosecution if they fail to clear snow effectively. The ‘Occupiers’ Liability Act 1957’ states that a business must “take such care as in all the circumstances of the case is reasonable to see that the visitor will be reasonably safe in using the premises for the purposes for which he is invited or permitted by the occupier to be there“. 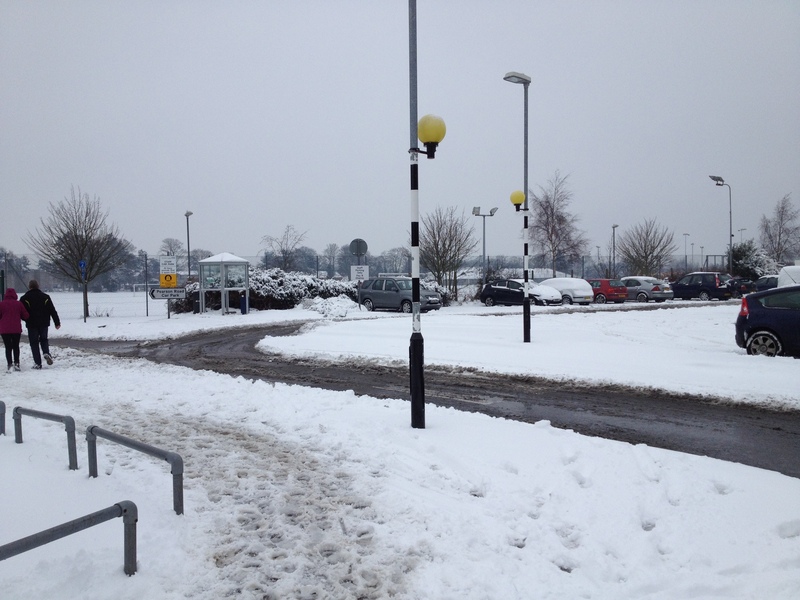 (Section 2.2) Lots of occurrences of the term ‘reasonable’, but personally I think it is reasonable to expect a large hospital with thousands of staff and visitors arriving each day to take a bit more care to keep their primary pedestrian routes clear of snow and ice. It would certainly set a good example for others to follow if nothing else! Isn’t odd that the roads are cleared because that is “economically important”, but all those people who end up in the fracture clinic after slipping while walking on the pavements.